Beagles and Books wishes a Happy Book Birthday to author Leslie Youngblood and her debut middle grade novel Love Like Sky! I am excited to be part of the blog tour organized by Rockstar Book Tours. “How is it then?” Peaches asked, turning on her stomach to face me. G-baby and her younger sister, Peaches, are still getting used to their “blended-up” family. They live with Mama and Frank out in the suburbs, and they haven’t seen their real daddy much since he married Millicent. G-baby misses her best friend back in Atlanta, and is crushed that her glamorous new stepsister, Tangie, wants nothing to do with her. G-baby is so preoccupied with earning Tangie’s approval that she isn’t there for her own little sister when she needs her most. Peaches gets sick-really sick. Suddenly, Mama and Daddy are arguing like they did before the divorce, and even the doctors at the hospital don’t know how to help Peaches get better. It’s up to G-baby to put things right. She knows Peaches can be strong again if she can only see that their family’s love for her really is like sky. Told from the point of view of 11-year-old Georgie, Love Like Sky is an honest and heartwarming story about family and friendship. Georgie is experiencing a lot of change in her life with both of her parents remarrying, gaining a reluctant stepsister, and moving away from her best friend Nikki. When her little sister Peaches gets sick, Georgie initially blames herself. Peaches’ illness actually brings Georgie and her stepsister Tangie closer, for Tangie can empathize with Georgie’s grief. Tangie’s own sister died as a result of injuries sustained from a car accident. While Georgie welcomes Tangie’s attention, Nikki feels threatened and becomes more friendly with Lucinda, a mean girl, which causes a rift between the best friends. What I love about Love Like Sky is Georgie’s voice is so authentic. Young readers will easily be able to relate to Georgie’s struggles but they will also see her strength. While still a child, she is getting older and wants to be treated more like a grown up. Like other kids her age, Georgie’s choices can be selfish at times but she is self-reflective and learns from her mistakes. Georgie also shows maturity when Nikki is unable to stand up to Lucinda and seeks to help rather than abandon her best friend. While her family dynamics has definitely changed with her parents’ divorce and remarriages, it is clear that Georgie is blessed with both parents and stepparents who love and support her. One of my favorite quotes is when Georgie says “Grown-ups are human too. It takes time to figure stuff out.” That is true Georgie but never-ending love of family will help you get through those tough times. Leslie C. Youngblood received an MFA from the University of North Carolina at Greensboro. A former assistant professor of creative writing at Lincoln University in Jefferson City, she has lectured at Mississippi State University, UNC-Greensboro, and the University of Ghana at Legon. She began her undergraduate degree at Morris Brown College and completed her bachelor’s at Georgia State University. After graduation, she served as a columnist and assistant editor for Atlanta Tribune: The Magazine. She’s been awarded a host of writing honors including a 2014 Yaddo’s Elizabeth Ames Residency, the Lorian Hemingway Short Story Prize, a Hurston Wright Fellowship, and the Room of Her Own Foundation’s 2009 Orlando Short Story Prize. She received funding to attend the Norman Mailer Writers’ Colony in 2011. Her short story, “Poor Girls’ Palace,” was published in the winter 2009 edition of the Indiana Review, as well as Kwelijournal, 2014. In 2010 she won the Go On Girl! Book Club Aspiring Writer Award. In 2016 she landed a two-book publishing deal with Disney-Hyperion for her Middle-Grade novel, LOVE LIKE SKY (Nov.6). She often teaches creative writing classes at Rochester, New York’s literary center, Writers & Books. Born in Bogalusa, Louisiana, and raised in Rochester, New York, she’s fortunate to have a family of natural storytellers and a circle of supportive and family and friends. 3 winners will win a finished copy of LOVE LIKE SKY, US Only. Click the link below to enter. Join us on the other stops of this tour for more giveaway chances and to read more about author Leslie Youngblood and her debut novel LOVE LIKE SKY. Beagles and Books wishes a Happy Book Birthday to author Molly Brooks and her debut graphic novel Sanity and Tallulah! We are excited to be part of the blog tour organized by Rockstar Book Tours. Graphic novels are in high demand with my readers so I was so excited to have the opportunity to read Sanity and Tallulah. Right at the beginning of the novel, it was clear that young Sanity is a scientific force to be reckoned with. Secretly, Sanity creates a three-headed kitten in the lab much to the dismay of Dr. Vega, the space station’s chief scientist and best friend Tallulah’s mom. After the bioengineered kitty escapes from the lab, Sanity and Tallulah’s search to find the cat uncovers a much larger problem that could threaten the entire space station. I just love Sanity and Tallulah both as individuals and as a team. Already grounded for being an accomplice, Tallulah willingly assists Sanity in searching for three-headed feline, always trying to keep her best friend’s spirits up, and is a good sounding board. Sanity exhibits confidence in her abilities as a scientist, and her genuine concern for her cat’s well being is endearing. Despite Dr. Vega’s anger about the unauthorized science project, she demonstrates compassion toward both girls and recognizes and values Sanity’s talents and expertise. Most importantly, author Molly Brooks creates strong, diverse female characters with a respected knowledge of science who can serve as role models for students. With engaging artwork using a limited color palette, a fast paced plot, strong and diverse characters and of course, an adorable three-headed kitty, I hope that Sanity and Tallulah is the first of many space adventures with this charming, intelligent, and plucky duo. I’m a freelance illustrator/comics-maker in Brooklyn by way of Nashville. 3 winners will win a finished copy of SANITY & TALLULAH, US Only. Click the link below to enter. Join us on the other stops of this tour for more giveaway chances and to read more author Molly Brooks and her debut graphic novel Sanity & Tallulah. Beagles and Books is honored to host an interview with author Laura Renauld. Her debut picture book, Porcupine’s Pie will be released next week. Stay tuned for my review of this heartwarming story of sharing and friendship on the blog later this week. Porcupine can’t wait to share Fall Feast with her woodland friends, so when everyone she greets is unable to bake their specialty due to a missing ingredient, Porcupine generously offers staples from her pantry. When Porcupine discovers that she, too, is missing a key ingredient, the friends all work together to create a new Fall Feast tradition. Porcupine’s Pie will inspire children ages 4-8 to act generously. A recipe for “friendship pie” can be found at the end of the book. Congratulations on your debut picture book, Porcupine’s Pie Laura! Tell me a little about your writing journey. Have you always enjoyed writing? Thank you, Laura! I’m so happy to share my book with your readers. Ever since I can remember, books and reading have been an important part of my life. I could sit on my bed and travel to another planet, share a cake with a panda, or hideout in an art museum. I found friends and adventures between the pages. I don’t remember writing being part of my childhood in quite the same way. I kept a lot of journals and I created a town newspaper with a friend that we distributed to the neighborhood, but I didn’t start writing stories until I was an adult. Where did you get the inspiration to write Porcupine’s Pie? 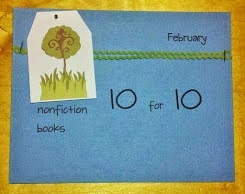 Have you heard of Tara Lazar’s Picture Book Idea Month (now Storystorm)? I’ve participated every year since 2011. Published authors share idea-gathering strategies in daily posts. It encourages me to fill a notebook that I can draw on all year long. During PiBoIdMo 2014, Tammi Sauer’s guest post challenged writers to frame a story as a How-To Book. So I jotted in my notebook: “How to make porcupine pie (or a pie for a porcupine)”. (Even at this early stage I thought that Porcupine Pie sounded a bit morbid!) My story never evolved into a How-To Book, but the alliterative title stuck with me and I ran with it! Porcupine Pie is a beautifully illustrated by Jennie Poh. As an author, share your experience seeing your story come to life with her artwork. The first time I experienced Porcupine outside of my own imagination was when the book cover was revealed. Porcupine looked different than what I had visualized, but after seeing her strutting through the woods in her little blue boots and carrying a pie, I couldn’t imagine her any other way. Creating a picture book is truly a collaboration. I love the color palette Jennie chose and Porcupine’s cozy den feels so inviting. The characters were friends in my text, but Jennie’s illustrations make those relationships warm and believable. I am very grateful to Jennie for bringing my characters to life. From your bio, I read that you are a former third grade teacher. How did you make the transition from third grade teacher to published picture book writer? When I taught third grade, my favorite part of the day was the read-aloud. I chose a variety of picture books as mentor texts for Reading and Writing Workshops, as supplements for Science, Social Studies, and Math units, and as a springboard for discussions on social topics, such as inclusion, bullying, and empathy. I witnessed the power of story to captivate, amuse, and encourage. Stories are powerful and I felt drawn to the creative process. After I left teaching and had my children, I started to take my writing seriously. I joined SCBWI, attended conferences, sought out a critique group, and found online resources that supported my journey. But most importantly, I made writing a priority and started treating it as a part-time job. My advice to aspiring writers? The laundry can wait! Besides writing, what are your other passions? I’ve always loved to sing. I’ve been in a choir nearly every year since middle school. In fact, that’s how I met my husband: on the choir tour bus in college. I currently sing with my church choir. I belong to a book club and I enjoy hosting tea parties for that group. I also love to bake, which ties in nicely with Porcupine’s Pie since I created a pie recipe to include at the end of the book. My book club even got roped into a taste test! Do you have any other writing projects planned in the future? My next book is a picture book biography called Fred’s Big Feelings: The Life and Legacy of Mister Rogers. It is scheduled to release in Fall 2019, with Brigette Barrager illustrating. Thank you so much Laura for stopping by Beagles and Books! There is still time to pre-order Porcupine’s Pie to receive a signed bookplate and be entered to win a pie kit. Preorder available at Amazon, Barnes & Noble, Indiebound, and Beaming Books. Laura Renauld grew up in Vermont with a forest as her playground. While she never met a pie-baking porcupine, walks in the woods were always an adventure. When she is not enjoying nature with her husband and their two boys, Laura can be found reading, singing, and baking in Northern Virginia. This is her debut picture book. When I was a young child, my favorite animal was penguins. I loved going to the zoo and watching them waddle, swim, and eat fish. In Oliver Otter’s Phase, after visiting the aquarium. Oliver becomes so fascinated with sea otters that he spends the next day mimicking otter behavior as he performs daily tasks. For example, Otter puts his bologna on his chest at lunch because otters use their bodies as a plate. When his dad places him in the shopping cart seat at the grocery store, Oliver gives his dad a long green string because otter moms tie their babies with kelp to prevent them from getting lost. Oliver’s parents are supportive of his preoccupation with otters except when he attempts to eat hot spaghetti on his chest! By the end of the story, Oliver’s interest in otters begins to wane but he still wants to be otter-like in one special way-snuggling with his mom. As a reading specialist, I am always looking for quality picture books to read to students and share with teachers. Author Lisa Connors has written an engaging text that will keep students interested, for young children will be able to easily relate to Oliver and his animal antics. Teachers will love how Connors weaves facts about otters on every page and Karen Jones’ illustrated snapshots visually capture otter natural behavior. After reading aloud, I could see students writing in the style of Connors by researching an animal and writing a narrative which would compare and contrast the animal and a human’s behavior. An added bonus to Oliver’s Otter Phase is backmatter that provides a detailed definition of marine mammals, a T-chart comparing and contrasting otters and humans, additional otter facts, and even a matching activity comparing how Oliver and an otter use tools, which are all permissible to photocopy. 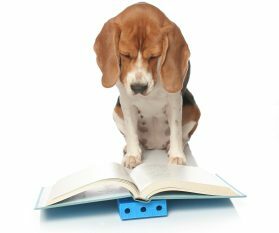 Disclaimer: Beagles and Books received a copy of Oliver’s Otter Phase in exchange for an honest review. All opinions are my own. It was released in February 2018. Lisa Connors spent her childhood exploring fields and catching frogs in a nearby stream. No frogs were harmed in her adventures; she would build them a raft and set them floating back down the stream. Her love of nature lead her to obtain her BS in Medical Technology and two Masters, one in Environmental Studies and the other in Teaching. Now she shares her love of science and nature through writing. While she has long written nature essays, Oliver’s Otter Phase is Lisa’s debut picture book. Lisa lives in a home called “Halcyon” with her family, accompanied by their Redbone Bluetick hound, two cats, and lots of wildlife for Lisa to encounter and learn about. Visit her website at www.lisaconnors.wordpress.com. Award-winning illustrator Karen Jones began her career as a storyboard artist and editorial illustrator but it wasn’t until she had children of her own that she discovered her true artistic passion: children’s illustration. In addition to Oliver’s Otter Phase, Karen has illustrated Midnight Madness at the Zoo, One Odd Day, My Even Day and My Half Day for Arbordale. She has also written and illustrated ABC Safari. Karen and her family live outside of Raleigh, NC. Karen’s children join her on many research trips to museums, zoos and aquariums-a tough job, but someone has to do it! Visit Karen’s website. Beagles & Books wishes Aiden Cassie and her debut picture book, Sterling, Best Dog Ever a very Happy Book Birthday! A very special thank you to Aidan Cassie and Macmillan for sending a copy of Sterling to my #bookexcursion group to read and review prior to its release. 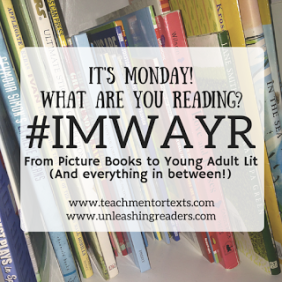 Below is my review which was featured on my #IMWAYR post on 6/25/18. Sterling is determined to find a home. Sleeping outside the Butlery Cutlery Company, he sneaks into a box of forks that are delivered to the Gilbert family. When the family opens the box and finds Sterling, the mom and dad are perplexed but the daughter ‘s and her baby sister’s smiles say it all. Sterling strives to be the best fork ever but soon discovers that perhaps, the family doesn’t need a fork. Being adaptable, Sterling attempts to be a whisk, a rolling pin, and even a stick but none of these tools seems to make him or the daughter happy. Will Sterling ever realizes his one and only job is to just be himself? Sterling, The Best Dog Ever is a heartwarming and humorous story about learning to be comfortable in your own skin or in Sterling’s case, fur. The rich and colorful illustrations beautifully complement the plot and depict not only Sterling’s determination to be needed and useful but also the little girl’s true desire to have a dog of her own to love. I can’t wait to share Sterling, The Best Dog Ever with students in the fall! Its message of self acceptance makes it a perfect read aloud for #classroombookaday. If you need any more convincing, get a sneak peek of Sterling by viewing the trailer below. Happy Book Birthday to Christina Uss’ The Adventures of a Girl Called Bicycle! Ever since she was three years old, Bicycle has lived at the Mostly Silent Monastery in Washington, DC. with Sister Wanda and the mostly silent monks. With Sister Wanda as her teacher, Bicycle excels at her studies and is especially good at making anagrams. On an errand to buy groceries with Brother Otto, Bicycle and the monk see a old orange bicycle for sale in front of the post office. Buying it for less than a dollar, Bicycle brings the two-wheeler home to clean and repair it. She names it Clunk. Sister Wanda hopes that Clunk will help Bicycle make friends but sadly Sister Wanda’s dream does not come true. Due to Bicycle being a fast cyclist, her chances of making friends is low because no one can keep up with her. Concerned for Bicycle, Sister Wanda decides to send her to sleepaway camp at the Friendship Factory where she is guaranteed to make three friends or your money back. Bicycle has a different idea. Polish cyclist Zbig Sienkiewicz is visiting America for the first time to host a blessing of bicycles. Bicycle desperately wants to travel to California to meet her hero. Sister Wanda will not acquiesce; therefore, Bicycle boldly decides to make the journey to San Franscisco with Clunk to meet Zbig who will become her first and only friend. On her travels to California, Bicycle befriends a friendly ghost named Griffin who haunts her handlebars, the Cookie Lady, Chef Marie, fried pie making Jeremiah, and Dr. Luck Alvarado. While she hits some bumps in the road (well actually pigs), Bicycle remains focused on proving to Sister Wanda that she can make a friend on purpose. With Clunk out of commission, Bicycle is fortunate to buy a new bike, the Fortune 713-J at an auction except now Bicycle is being followed by a lady in black who she believes wants to steal her new riding companion. So many questions remain. Will Bicycle be able to avert the lady in black? Will she get to San Francisco in time to meet Zbig? Will they become friends? Will Sister Wanda forgive Bicycle for her transgression? Reading The Adventures of a Girl Called Bicycle was an exhilarating ride. Debut author Christina Uss’ story of a girl biking towards a solution is equally heartwarming and humorous. While the plot is fantastical, the message is real. As Dr . Alvarado states, “Luck flows around us like a river, but we have our own paddles.” In other words, we have the ability to change where we are headed. Through Bicycle’s journey across the country, readers will discover that while friendships may begin due to some luck, true friendships remain because of two people’s ability to talk, listen, and actually hear each other. And that is a lesson worth learning and remembering. A very special thanks to Christina Uss for sending an advanced reader’s copy of The Adventures of a Girl Called Bicycle to my #bookexcursion group. Beagles and Books is excited to be part of The Mortification of Fovea Munson Blog Tour organized by Rockstar Book Tours. It’s not easy being Fovea Hippocrates Munson. Strike one is that your first name in medical lingo means “eyeballs” and your surgeon parents are obsessed with everything Hippocrates. They have even written a rap about the Father of Modern Medicine! Strike two is that your surgeon parents own a cadaver lab where they happily deal with dead bodies all day long. Strike three is that your summer camp is closed due to a snake infestation which means you are stuck working as the receptionist at the lab. And there’s more. Your parents think you want to follow in their footsteps as a Future Doctor of America, and your best friend has traded you in for a more sportier and cooler model. There’s no way things can get worse, right? Except things can and they do when at the lab, three disembodied heads not only start talking to Fovea but ask her for a favor. Although Fovea is experiencing a raging case of PTSDH (PostTraumatic Stress from Dead Heads), she has to focus because the lab is missing a specimen, and she needs Luke, Andy and McMullen’s help (AKA the 3 Heads) to find the body part before a blackmailing cremator reports her parents to the police. The Mortification of Fovea Munson is a story of humor and heart. With its far-fetched and fantastical plot, I was excited to keep reading to see where author Mary Winn Heider would go next. While I laughed after reading almost every page, my heart also hurt for Fovea who lost her best friend and struggled with discovering who she really is. After an unforgettable night, Fovea finally realizes she is no longer “a bookmark holding on to a space and waiting for the right time.” On the contrary, she does have something burning in her. While she is not destined to become a Future Doctor of America, Fovea Hippocrates Eyeballs Igor Phobia Pitfall Munson will be a Future of America making the world a better place. And she is going to rock it! After reading the last page, I hope Fovea’s adventures are only just beginning. Disclaimer: I received a copy of The Mortification of Fovea Munson in exchange for a honest review. All opinions are my own. Author of THE MORTIFICATION OF FOVEA MUNSON, June 2018, Disney-Hyperion. Barrel of Monkeys Company Member. Would you like to own a copy of The Mortification of Fovea Munson for your library? Thanks to Rockstar Book Tours, they are giving away 3 copies of this fabulous book (US only). Be sure to take the time and enter this fantastic giveaway. Please click link below to enter! Join us on the other stops of this tour for more giveaway chances and to read more about The Mortification of Fovea Munson and the author Mary Winn Heider. On the very first page, pajama clad Penguin announces “This is not a bedtime book” with night cap wearing Tiny Shrimp chiming in saying “We don’t do bedtime!” The adorable characters make it clear that there is no room for typical bedtime rituals such as toothbrushing, big beds or counting sheep. On the contrary, readers will be enticed to stay wide awake with fireworks, vine swinging, hot air balloon rides, songs, jokes and even the rare appearance of a Uni-Hippo! After Penguin and Tiny Shrimp engage in all their adventures, they maintain their anti-sleep position stating “This book will never make you yawn” but their actions begin to contradict their original declaration. It is not long before the two characters are crawling into bed and sleep soundly. Clearly, storytelling is tiring work! Penguin & Tiny Shrimp Don’t Do Bedtime is a hilarious and highly entertaining picture book from debut author Cate Berry. Not only did I pre-order this book immediately, I now have the perfect recommendation for a bedtime read aloud (sorry Penguin and Tiny Shrimp!) that parents will take great pleasure in reading again and again to their children. Santoso’s pictures adorably depict Penguin and Tiny Shrimp’s insistence and excitement in staying awake yet by the end of the book, his illustrations subtly and sweetly transition to show their fading energy. Even the background color of the pages becomes gray to signify the change. Special thanks to Cate Berry for sending an ARC of Penguin & Tiny Shrimp Don’t Do Bedtime to our #bookexcursion group. Can’t wait for its release May 2018. I sincerely hope there will be more Penguin and Tiny Shrimp adventures to come! Thank you to Pink Umbrella Books for providing Beagles and Books with the opportunity to read and review Duck, Duck Moose by Joy Heyer. All opinions are my own. Synopsis: Duck is sad because his best friend Goose is gone for the winter. Sensing his unhappiness, the animals attempt to cheer up Duck by asking him to play games. Unfortunately, the other animals’ games just don’t feel right. Duck, Duck, Pig is too messy. Duck, Duck, Snake is too slitherly. Duck Duck Porcupine and Duck Duck Moose are too dangerous! Can Duck solve his problem and cure his loneliness? Review: Duck, Duck, Moose is a fun rhyming picture book that begs to be read aloud. Young children will especially like the onomatopoeia that Heyer uses as Duck engages in a new game with each animal. Her warm watercolor illustrations of the animals show their willingness to help Duck with his loneliness. The theme of missing a good friend is one to which all children can relate. While the plot is predictable, I like that Heyer does not tell the reader why Duck does not enjoy each animal’s game. Children can infer based on text clues and the illustrations. What I love about the text is that Duck learns that he must look to himself to solve his problem, which is a good lesson for readers young and old. Duck Duck Moose recently published in March 2018. About the Author: Joy Heyer lives in Virginia with her loving husband and three of her four crazy children. Her oldest child now has a child of her own, making Joy a grandma. Her family recently convinced her to get a dog. What was she thinking? The dog now follows Joy everywhere, waits loyally at the front window every time she leaves the house, and goes berserk when she comes back, even if she was only gone for 10 seconds to get the mail. In her spare time….wait, what spare time? Whenever her children and dog permit, she loves to read, write, paint, and dream up home improvement projects.